Did you know that each day an estimated 70,000 cats and dogs are born in the US as compared to approximately 10,657 children? That's over 25 million animals per year, many of which will be needlessly killed. The raw numbers show that the birth of these animals are outpacing people at staggering rates, which suggests the continued killing of healthy, homeless animals. At the root of every issue, lies a solution. For the millions of healthy, homeless animals that are unnecessarily killed each year in the US, that preventative measure is to put an end to unwanted litters through sterilization. One of our three main tenets is to help prevent the birth of unwanted animals by providing the funds and resources necessary to allow for the spay or neuter of the pets. We strongly believe that prevention of unwanted litters is a key component to ending the unnecessary killing of healthy, homeless animals. 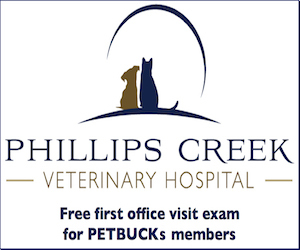 The sponsor and donor dollars raised by PETBUCKs will help to sustain the resources needed for animals under the care of our member organizations, as well as helping to provide sterilization in order to effect the root cause of pet overpopulation. Sponsorship allows us spay/neuter healthy pets and help them find a forever home. You can help us keep animal population down by picking your perfect pet to sponsor. 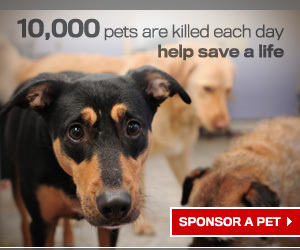 Just use the search function below or make a one-time donation now and help save a pets life.